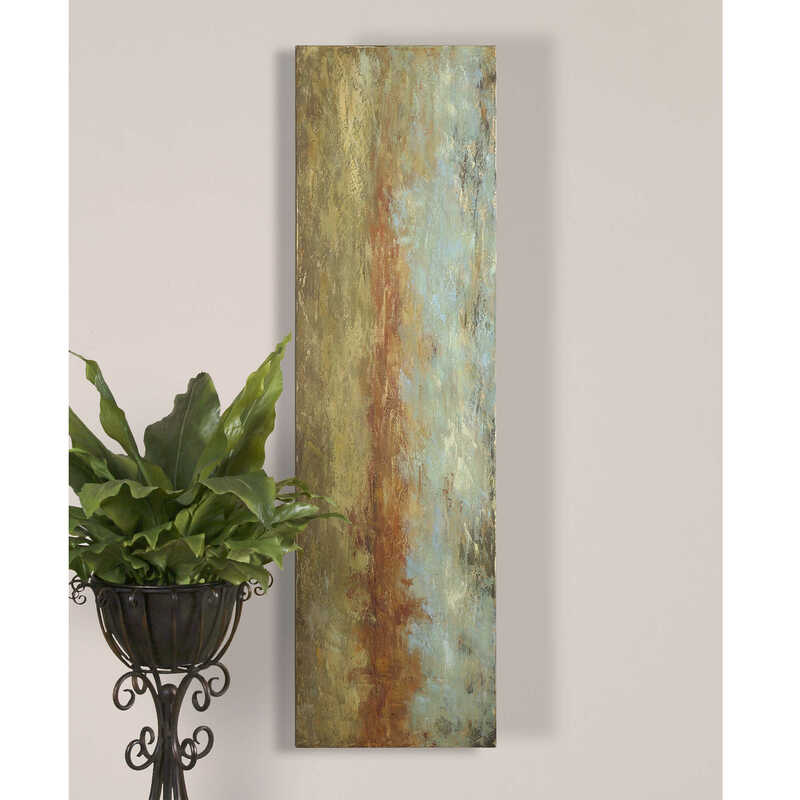 Showcasing an abstract motif, this frameless, hand painted artwork on canvas features a versatile color palette. Earth-toned shades are paired with a light blue accent to create this simple, yet expressive piece. The canvas is stretched and attached to wooden stretchers. Due to the handcrafted nature of this artwork, each piece may have subtle differences. 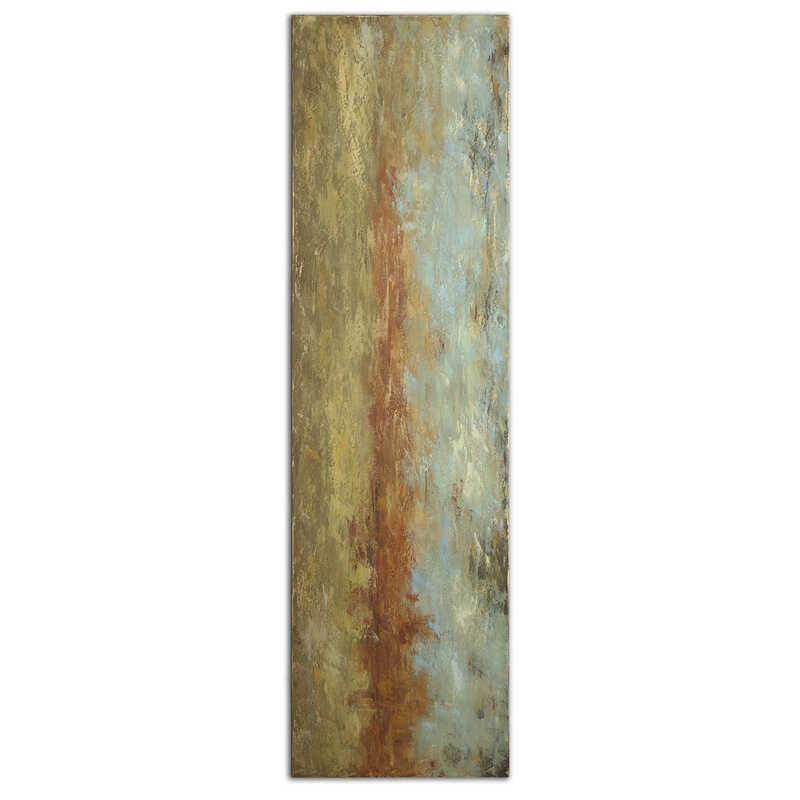 This piece may be hung horizontal or vertical.